When you’re on vacation, you don’t want to spend too much time setting up your tent or canopy. Here are 11 great products that will make the process much simpler. If you’re in the market for folding canopies built to last, you can’t go wrong with Abba Patio products. These canopies are resistant to water, rust, corrosion, and peeling. They’re also lightweight, which makes them great for a day trip to the beach. 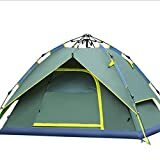 Do you need an automatic pop up tent? 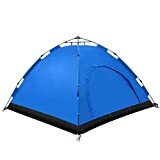 These sturdy tents are waterproof and built to withstand harsh weather. These waterproof, windproof tents are super breathable. 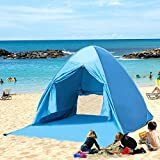 This makes them great for family camping trips to the beach, as they help to reduce temperatures. 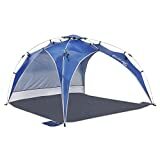 If you want your whole family to have fun at the beach, this Lightspeed Outdoors tent is sure to help. It’s made of durable materials, designed to hold up to kids and dogs. It also has an easy to use up-and-down hub system, which makes setup a cinch. 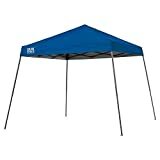 This canopy from Coleman is an effective way to protect yourself in any weather condition. 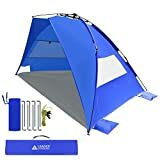 It can shield you from bugs, wind, and sun, making it a great addition to any beach or camping trip. A day at the beach is made even better with these Kany automatic tents. There’s no assembly required, and the silver coated fabric offers excellent sun protection. When you need some shade, consider these instant canopies. They come with a fully assembled frame, which pops into shape in less than a minute. As the AluminexTM backed fabric has UV protection, these canopies will fully protect you from the sun. 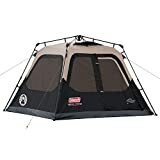 If you need a tent for the whole family, these Coleman tents are a great choice. They come with pre-attached poles, which demystifies the setup process. They’re also designed to keep the water out, making them ideal for beachside camping trips. For beach trips, these Leader Accessories tents are an invaluable resource. They are made of lightweight but durable polyester fabric, perfect for keeping you dry on the beach. These quick setup tents can work as camp restrooms, changing rooms, showers, and more. 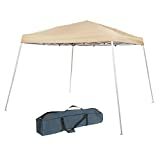 Thanks to the compression hub and pre-threaded telescoping poles, this tent can be constructed almost instantly. If you’re taking a solo vacation, you can’t go wrong with one of these Teton tents. To set it up, users simply have to roll it out, lock the polls, and tug at the drawstrings. Then it’s good to go! It can also withstand rugged weather conditions. 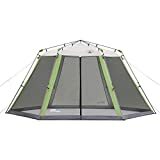 The combination of taffeta and micro mesh ensures that this tent can be used on the beach, in the woods, or anywhere in between.